An analysis of more than a decade of U.S. nursing home data has shown that breast cancer surgery is associated with high rates of mortality and hospital readmission, along with loss of functional independence, for frail nursing home residents. 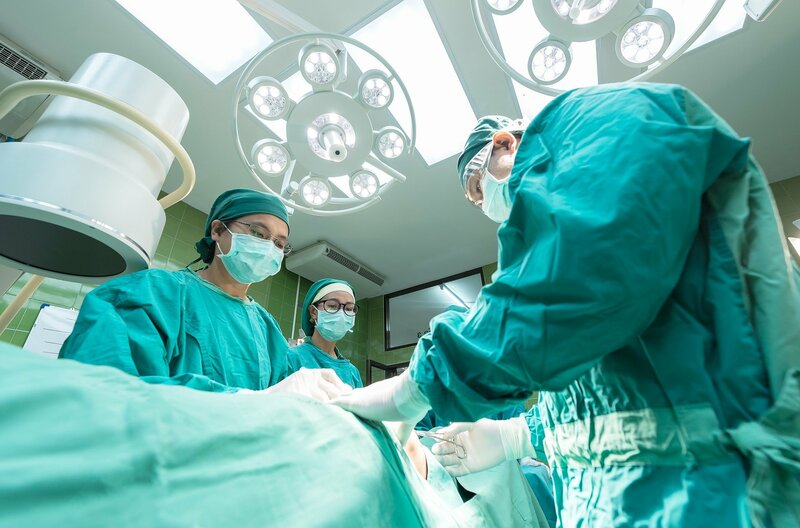 In a study appearing Aug. 29, 2018, in JAMA Surgery, UCSF researchers found that 58 percent of women who resided in a nursing home for more than 90 days before breast cancer surgery experienced significant functional decline one year after surgery. The study found that women with functional impairment in their daily activities prior to treatment had the highest rates of one-year mortality and functional decline. Patients with prior cognitive impairment also had higher rates of functional decline after one year. Breast cancer surgery is the most common cancer operation performed in nursing home residents, constituting 61 percent of procedures. More than half of female nursing home residents are identified with suspected breast cancer through screening or physical exam, and about two-thirds of those are referred for diagnosis or treatment. In the JAMA Surgery study, Tang and her colleagues used 2003-2013 claims from all U.S. Medicare nursing homes to review data for 5,969 women ages 67 and older who had lived in a nursing home for at least 90 days and who underwent inpatient breast cancer surgery. In this group (83 percent white, 57 percent cognitively impaired), 61 percent (3,661) of the patients received the most invasive treatment, known as axillary lymph node dissection with lumpectomy or mastectomy (ALND). Another 28 percent (1,642) received a mastectomy, and 11 percent (666) underwent the least invasive lumpectomy. Researchers examined 30-day and one-year mortality, hospital readmission rates, and functional status in activities of daily living, such as eating, dressing and using the bathroom. The researchers noted that the rates were high for 30-day readmission (16 percent overall, 15 percent ALND, 14 percent mastectomy, 26 percent lumpectomy) and all-cause mortality at 30 days (3.2 percent overall, 2 percent ALND, 4 percent mastectomy, 8.4 percent lumpectomy) and one year (31 percent overall, 29 percent ALND, 30 percent mastectomy, 41 percent lumpectomy). The researchers recommend that long-term nursing home residents with breast cancer consider hormonal therapy, such as endocrine therapy or radiotherapy, or symptom management only instead of surgery. Further studies should specifically evaluate this population in the outpatient setting and compare outcomes in those with and without the surgical intervention. Tools to support informed decision-making also are needed, they said. The deferring of breast cancer surgery in frail elderly women is similar to prostate specific antigen (PSA) testing, Tang said. PSA testing is common in elderly men despite evidence that those without aggressive prostate cancer are unlikely to benefit from diagnosis and treatment and may face significant risks for quality of life if they undergo prostate surgery. “While some clinicians, patients and caregivers believe breast surgery is necessary to prevent morbidity and mortality from breast cancer, the risks of harm may outweigh the benefit in this frail, vulnerable population, in which many have a limited life expectancy,” said senior author Emily Finlayson, MD, MS, professor of surgery, health policy and geriatrics at UCSF.